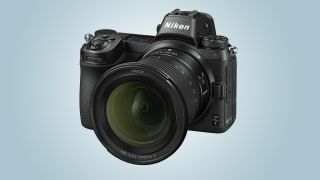 Nikon has bolstered its Z series range of lenses for its new full-frame mirrorless cameras with the announcement of the Nikkor Z 14-30mm f/4 S ultra-wide zoom lens at CES 2019. The 14-30mm f/4 S joins the 24-70mm f/4, 35mm f/1.8 S and 50mm f/1.8 S, which were announced last year alongside the Z6 and Z7. The new lens is designed to offer the ideal combination of performance and portability, and Nikon expects it to be popular with landscape, travel, event and architecture photographers. Announcing the lens, Jay Vannatter, Executive Vice President, Nikon Inc said: "The Nikkor Z 14-30mm lens demonstrates the optical superiority of the Z system, taking advantage of the newest high-performance lens technologies while maximizing compactness and portability." The new lens is just 89mm lens (3.5-inches) when retracted, and weighs just 485g (1.07Ibs), making it roughly 28% lighter and 32% shorter than Nikon's own AF-S 16-35mm f/4G ED VR wide-angle zoom lens designed for its DSLR range. Optically, the new lenses features four Extra-Low Dispersion (ED) elements and four aspherical elements, which Nikon says will offer unparalleled control of distortion and chromatic aberration. Additionally, the 14-30mm uses Nikon’s anti-reflective Nano Crystal Coat, which is said to effectively reduce ghosting and flare, delivering clearer images that maintain good contrast in challenging lighting situations. The 14-30mm f/4 S also features a 82mm filter thread, making it possible to easily attach a range of filters, while the new lens also uses Nikon's latest Stepping Motor (STM) technology for smooth, fast and quiet AF performance. As we've seen with the rest of Nikon's Z lenses, the 14-30mm f/4 includes a customizable control ring that can be assigned to manual focusing, exposure compensation or aperture control depending on personal preference or the shooting situation, maintaining different custom settings when in photo and video mode. Finally, the new lenses is dust and 'drip'-resistant, and features a fluorine coating on the front element that effectively repels dust, water droplets, grease and dirt. The Nikkor Z 14-30mm f/4 S lens will be available "in the spring" – so March-May – for a suggested retail price of $1,299.95 / £1,349, with Australian pricing still to be confirmed.